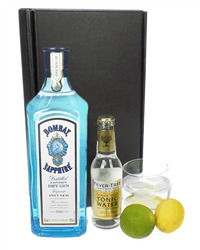 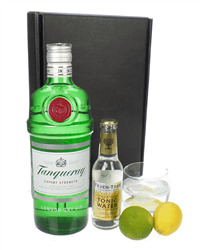 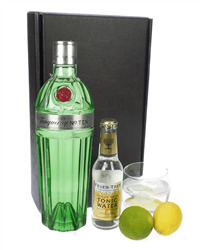 Send someone this Gin and Tonic gift set containing the exquisite tasting Portobello Road Gin. 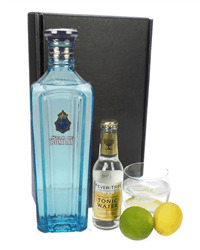 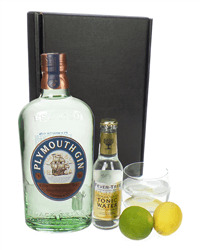 Presented in a smart black gift box with a bottle of the outstanding Fever Tree Indian Tonic water, a lemon and a lime, making this a superb choice for any fan of the popular Portobello Road gin. 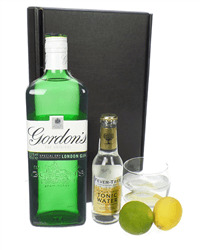 Why not send someone this great little gin gift, our gin and tonic gift sets include a bottle of gin, a Fever Tree tonic mixer, a lemon and a lime. 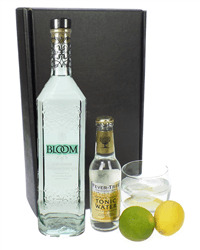 The gift is beautifully packaged and you can select from a variety of gins which include Hendricks, Tanqueray, Bloom, Chase, Portobello and more.